If you are learning pattern making and want to have the clothing construction information handy, would like to create your own designs or would just like to have all the information listed in one book instead of the individual sheets of paper that come with each pattern, this book will make life much easier for you. "Basic Clothing Construction" gives you all the information you need to put garments together in a step-by-step easy to follow format. Do it yourself sewing machine repair!!! Sound like a far fetched idea? 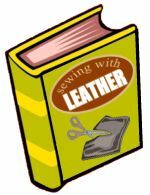 Not so, according to Reuben O. Doyle, a sewing machine repairman of 25 years and author of "Sewing Machine Repair For The Home Sewer". "In over 75% of the repair jobs I get, the home sewer/crafter could easily have handled the job if only they'd known what to look for".